The lovely people at Muck Boots have sent me a pair of their new FIELDBLAZER boots for testing and first impressions are they've made some improvements from the older, smellier, pair I've already got. Muck Boots have had Quiet, Warm, and Dry nailed since the first pair they made. Where theses look like an improvement is they've beefed-up the reinforcement for added support around the ankle and protection for your toes, which I thought was pretty much the only way to improve on the concept. The new soles are a bit better too, horizontal strakes might not look as grippy, but are far better at self-cleaning than most studded patterns. 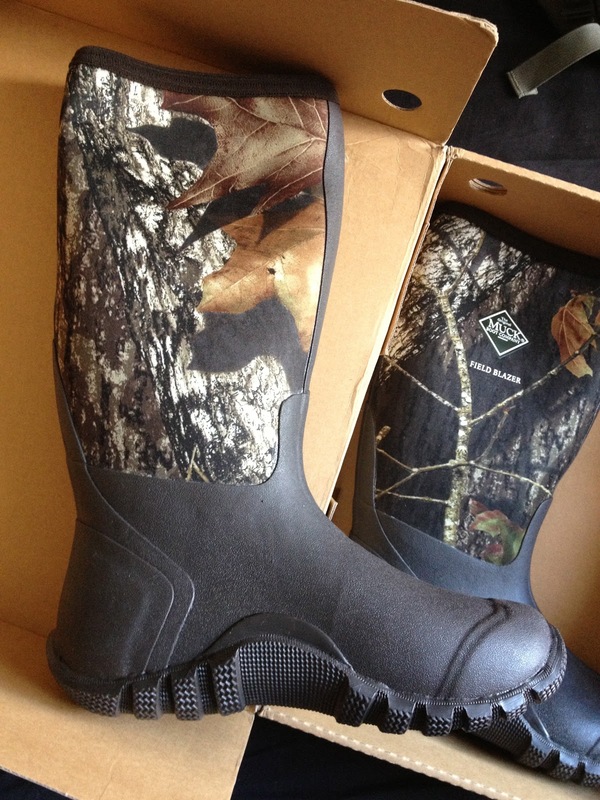 I paid cash for the last pair and would happily recommend them for woodland stalking, and especially for any kind of hunting where you have to sit in a chilly Highseat/Treestand.